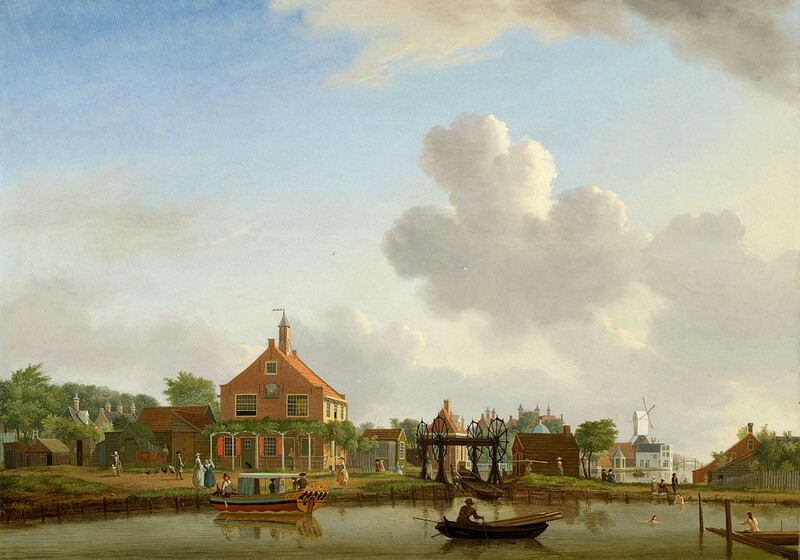 Reinier Nooms – Amsterdam Museum SA 591. 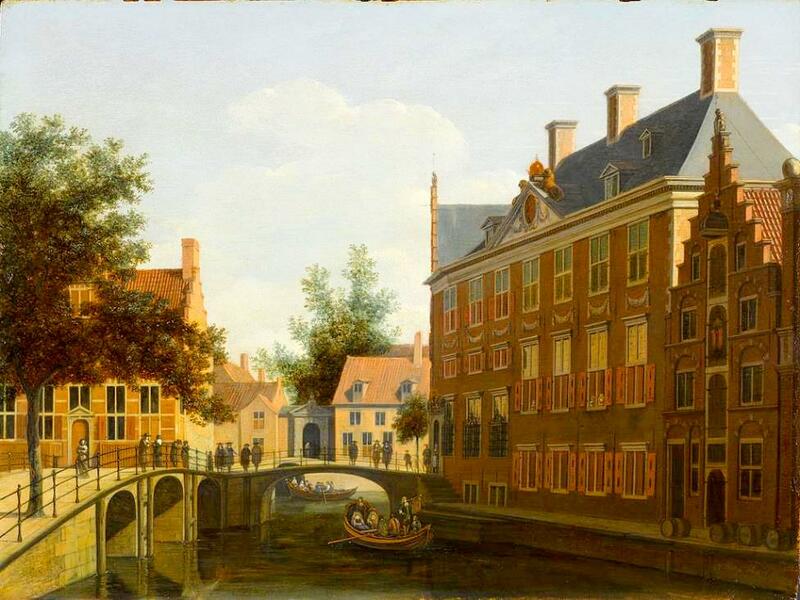 Title: De Prinsengracht bij de Reesluis. 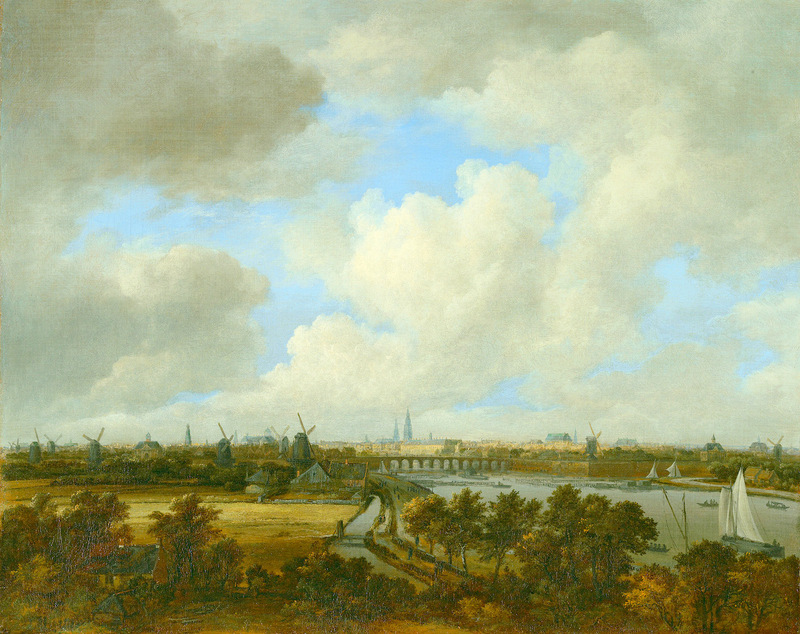 Date: c. 1663-1664. Materials: oil on canvas. Dimensions: 52 x 67 cm. Nr. : SA 591. 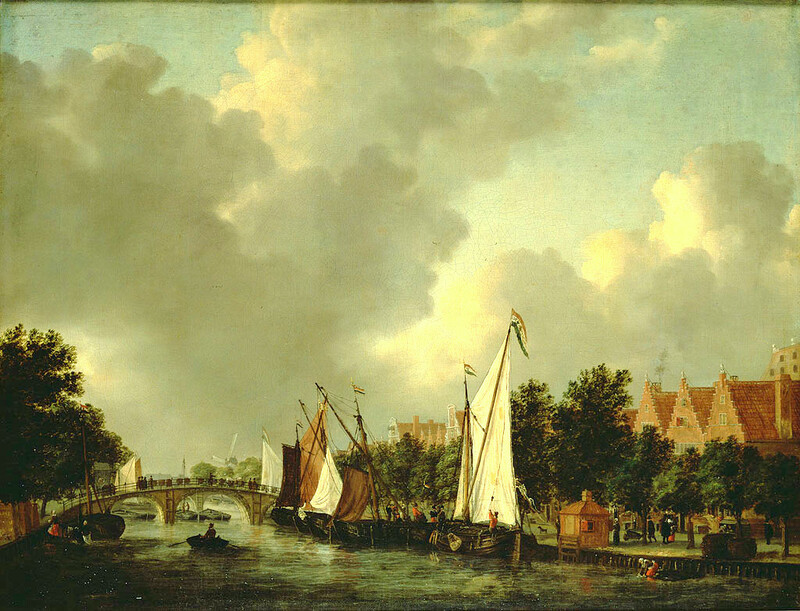 Source: https://commons.wikimedia.org/wiki/File:SA_591-De_Prinsengracht_bij_de_Reesluis.jpg. I have changed the light and contrast of the original photo. 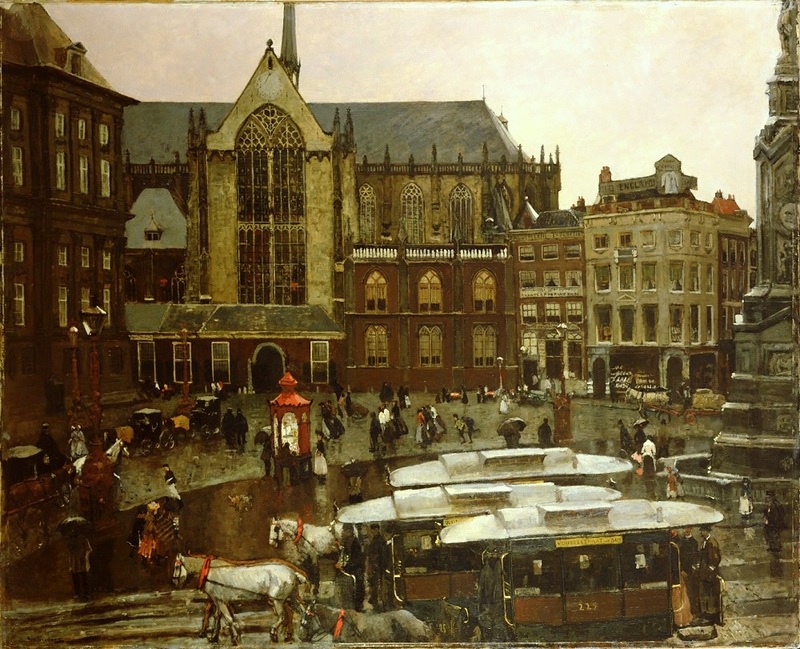 George Hendrik Breitner – Amsterdam Museum SB 6344. 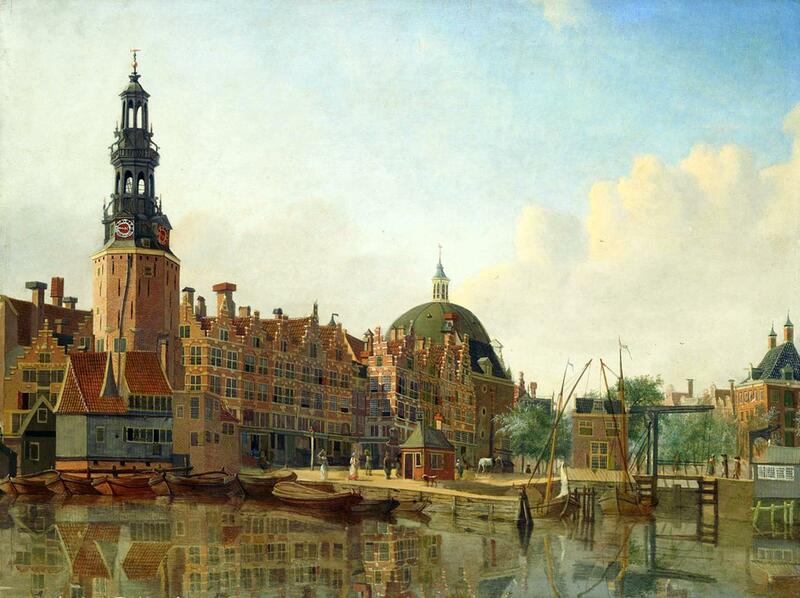 Title: De Dam. Date: 1898. Materials: oil on canvas. Dimensions: 146 x 181 cm. Inscriptions: G.H. Breitner. Nr. : inv. SB 6344. Source: http://mart-museum.ru/wp-content/uploads/2014/04/SB_6344.jpg?fdcafc. I have changed the light, contrast and colors of the original photo. 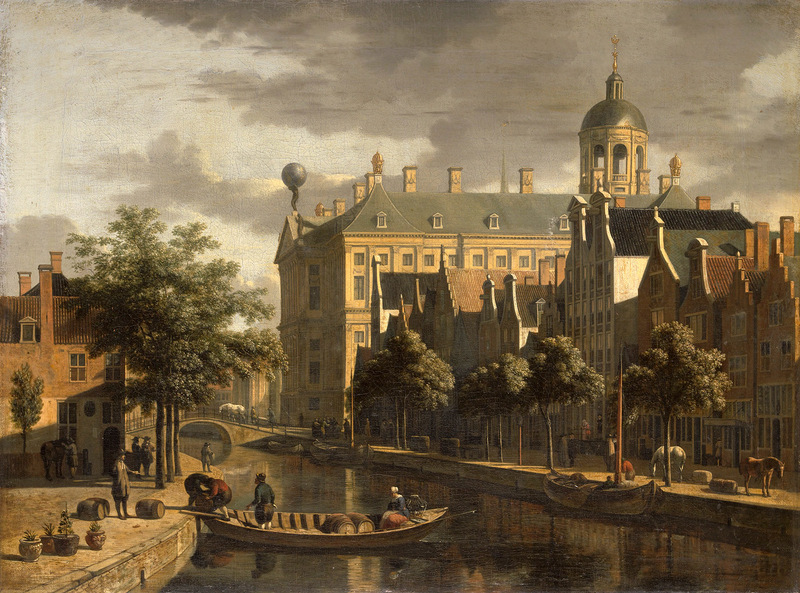 Gerrit Berckheyde – Amsterdam Museum SB 329. 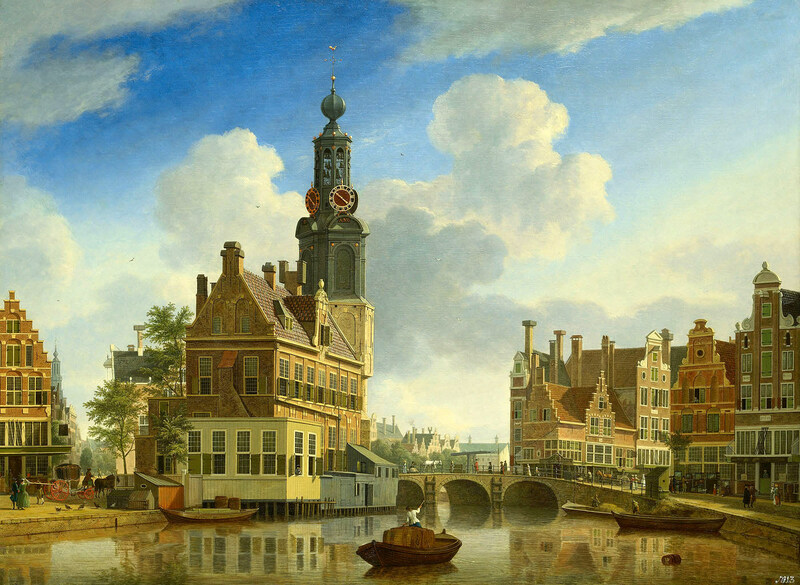 Title: De Grimburgwal met het Oudezijdsherenlogement. 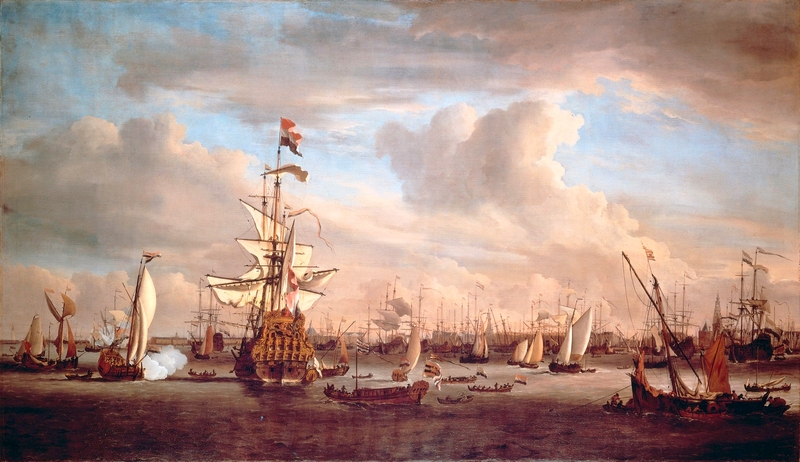 Date: c. 1665-1685. Materials: oil on panel. Dimensions: 32.5 x 42.5 cm. Nr. : SB 329. Source: http://am.adlibhosting.com/amonline/advanced/Details/collect/39427. I have changed the light and contrast of the original photo. Materials: oil on canvas. Dimensions: 70.5 x 94.5 cm. Nr. : SA 610. 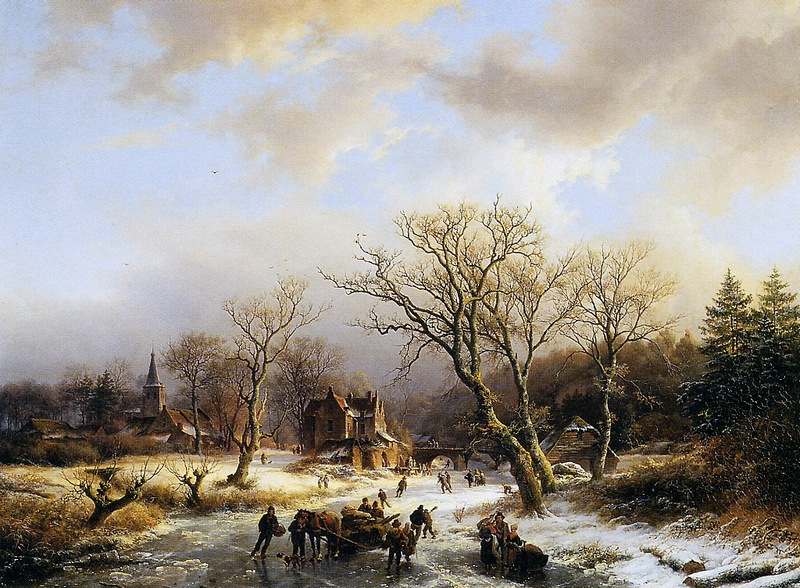 Source: http://artmight.com/albums/2011-02-07/art-upload-2/k/Koekkoek-Barend-Cornelis/Koekkoek-Barend-Winterlandscape-Sun.jpg. Materials: oil on panel. Dimensions: 45.5 x 61 cm. Nr. : SA 20797. http://am.adlibhosting.com/amonline/details/collect/38832. I have changed the light, contrast and colors of the original photo. Materials: oil on panel. Dimensions: 56 x 75.5 cm. Inscriptions: J.T. Compe f 1751. Nr. : inv.nr. SA 562. Source: http://www.de-blozende-ets.nl/image/index/blozende-ets-voorpagina-2.jpg. I have changed the contrast of the original photo.